Not on the state map. 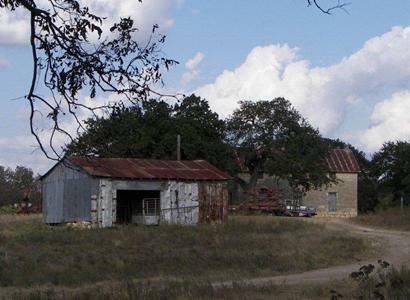 Settlers from Fredericksburg moved here around 1877 in search of greener pastures for their livestock. 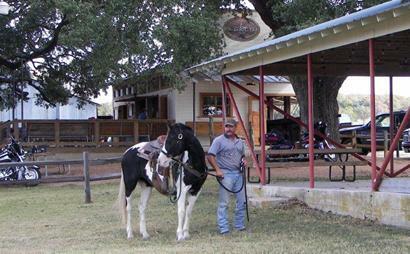 The town was originally named Martinsburg and was on the Blanco-Fredericksburg stage line. Martinsburg had a post office from 1877 to 1886, when the mail was rerouted through Hye in Blanco County. 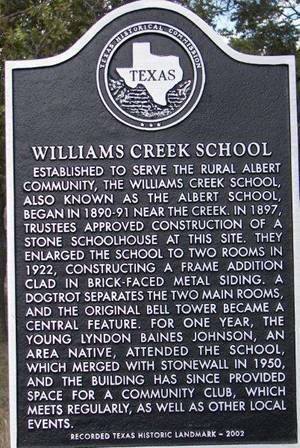 But when Albert Luckenbach, (see Luckenbach, Texas) moved here after selling his store there, he applied for a post office under his first name. It was approved in 1892. In a rare switch of priorities, Albert got its post office five years before it opened its first store (1897). A new school replaced an earlier building in 1900. Lyndon Baines Johnson was a student here, albeit for only one year. From 50 residents in 1925, it reached rock-bottom in the mid 1960s with only four residents. 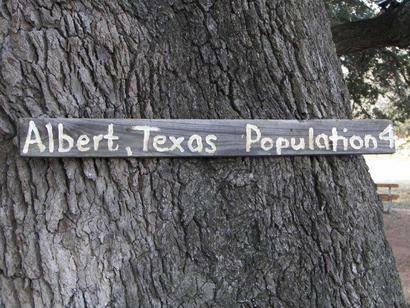 In the early 1970s when Luckenbach was finally being appreciated as an endangered Hill Country �lifestyle,� Albert, Texas had increased its population to 25. 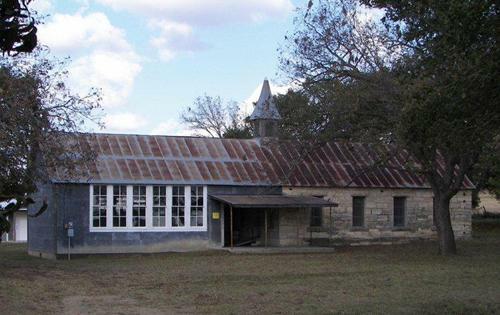 The store was demolished in the 1980s, and the old school put to another use. The population figure of 25 has been in use ever since and the 13-acre town became a single property. 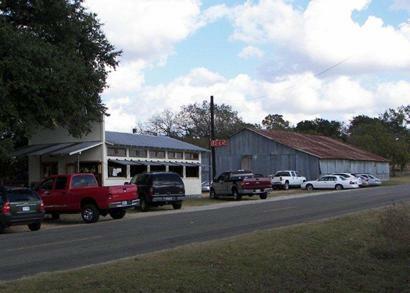 In November of 2007, the town was put up for auction with a minimum acceptance price of 2.5 million. On November 24th, 2007, it was reported that "someone in Italy" had won the town with a bid of $3.8 million. Riders of beast and machine congregate in Albert most weekends. 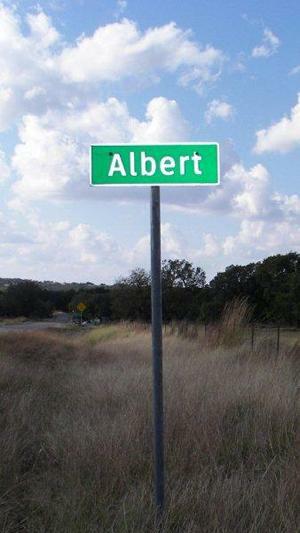 Albert city limits on FM 1623.